Bamboo in recent years has become a much more popular choice for gardens in northern Europe as it offer fast growing and dense foliage at a low price. There are various different types available and you should do your research before you buy as some can be pretty viral and take over you garden. Often used in flower pots to contain the bamboo these wooden planters are nicely aged and create a nice backdrop for the seating in front. 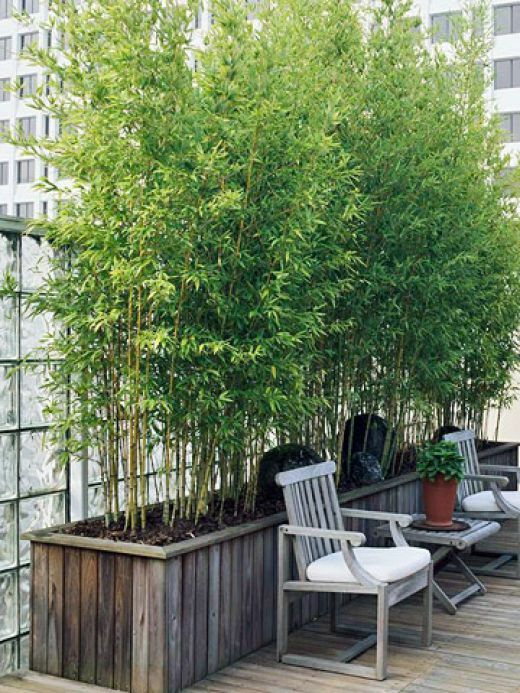 The bamboo extends past the height of the glass wall behind offering some shade and privacy for the garden that previously wasn’t there. Using lighting in the garden is always a good idea to highlight different areas and change the way the garden looks. 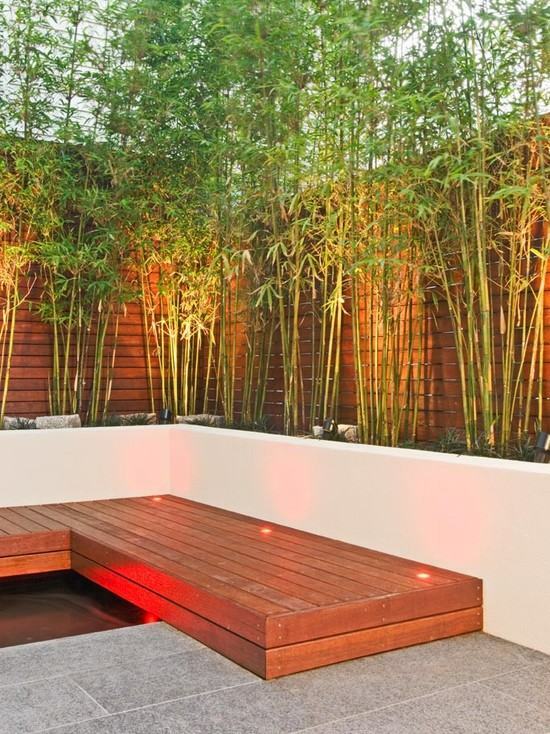 Bamboo can look great with up-lighters as the spindly straight stems offer a nice line to break up a wall and make it more interesting. 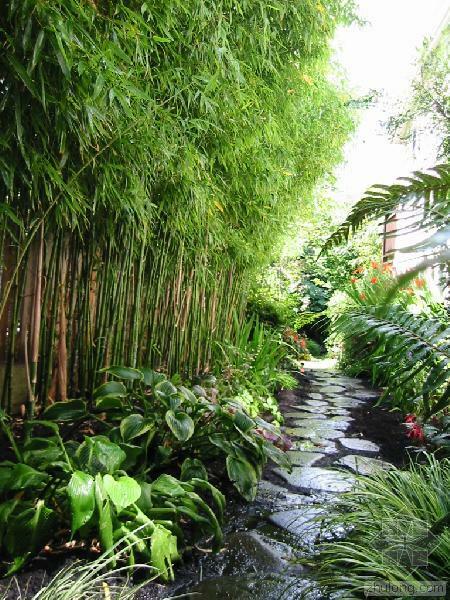 Whilst most choose to plant in a planter there are some types of bamboo that can be planted in the ground. 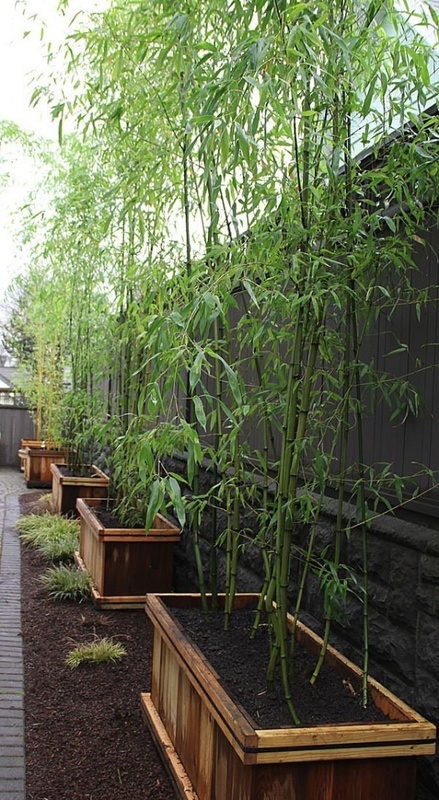 Clump-forming bamboo is what you want to look for as it stays in clumps rather than spreads wildly around the garden. The other type is known as running and this is an invasive plant, you don’t want that in your garden if you can avoid it! The nice thing about bamboo is the height vs cost that can be achieved. It easily grows very high and offers a stark contrast to lower bushes like a buxus hedges that might adorn the garden paths. The speed at which it grows is part of the reason why bamboo is relatively cheap so there is not so much need to purchase a large plant as it won’t take decades to get to the height you want. 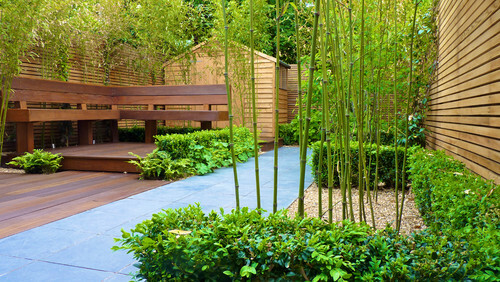 Using bamboo in a contemporary garden or a more traditional design can work well. 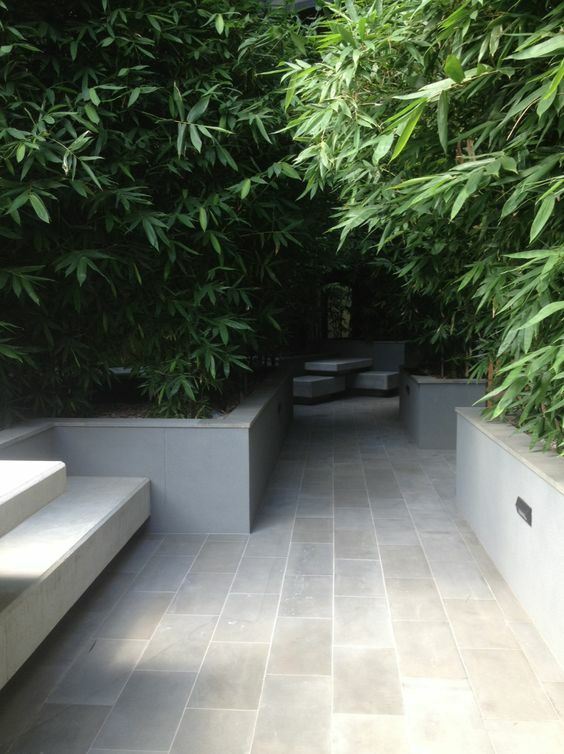 In more contemporary design we tend to see the use of planters to contain the bamboo and often to separate areas or disguise a wall. Not a lot of flower pots and bamboo is needed to achieve the basic effect but it depends how much separation of hiding you want. 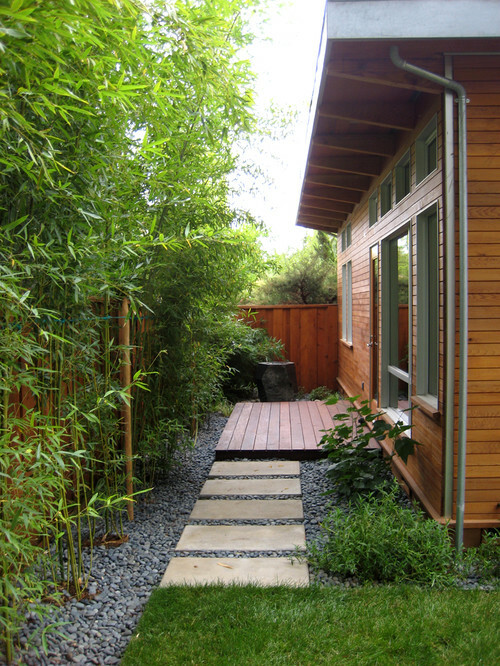 The density that can be achieved with bamboo is something that allows garden designers to plant with a new dimension. In most application bamboo is used as a light screen or height differentiator but when the space is there it can be used to create depth, shade and tunnels easily. This is something that is hard to get from other plants so effectively and fast.